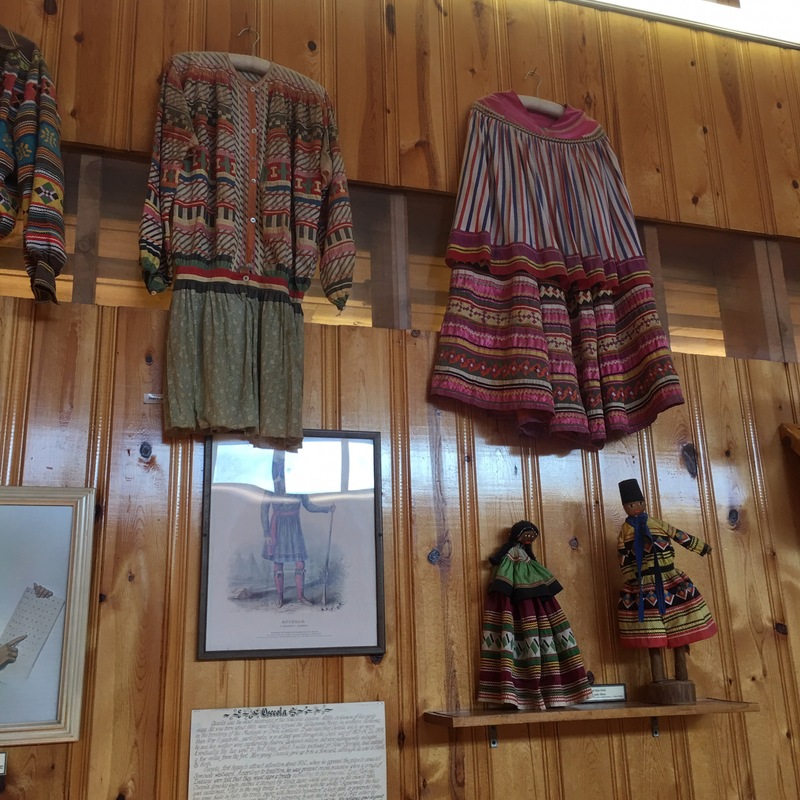 South Dakota is steeped in history, it’s one of the main reasons I chose to take the kids here for MEA break. After visiting Mount Rushmore we headed over to Crazy Horse. It’s only about a 15-20 minute drive. 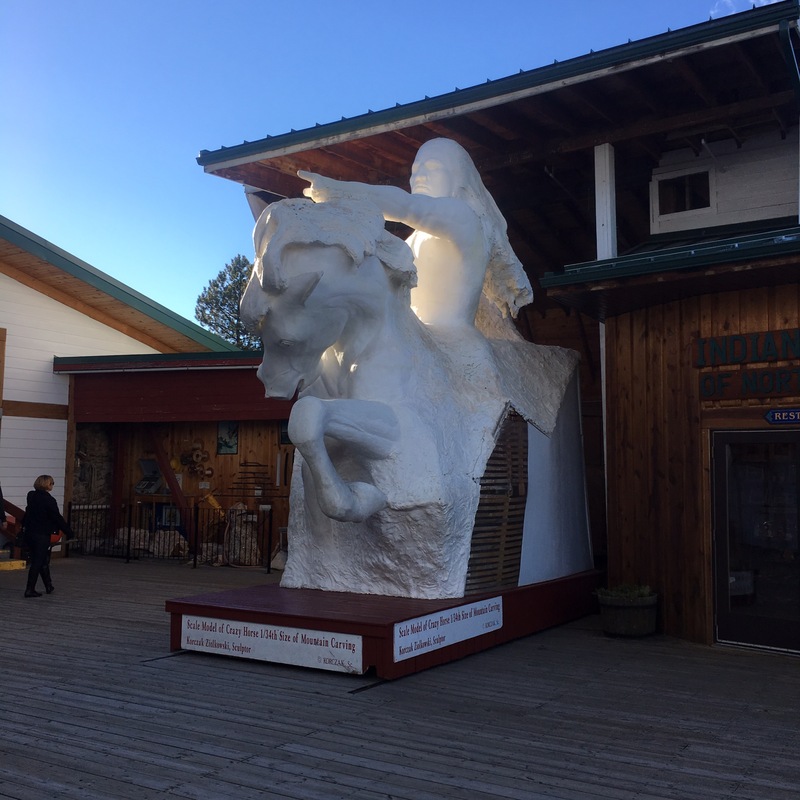 Crazy Horse is a privately funded memorial surviving on donations from the public. It’s a shame there is no state or federal aid to this memorial. Because it’s only funding source is donations it has taken decades to carve the face. Crazy Horse was one of our more pricey excursions. 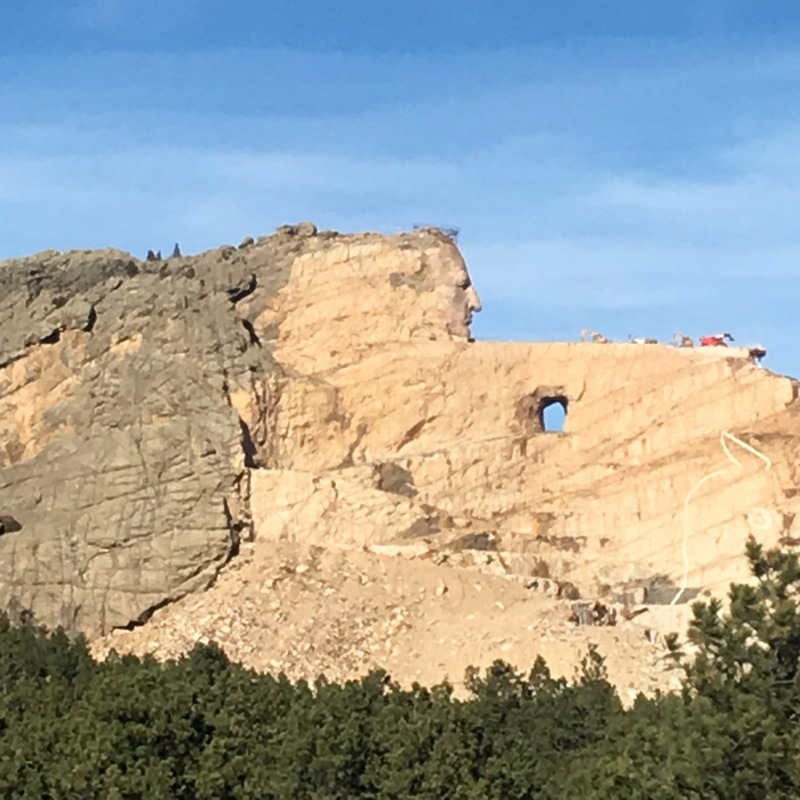 Not only will you pay a fee to drive into the memorial but if you would like to take a closer look at Crazy Horse you will need to take a bus, and that’s a separate fee. There is no other way to get closer, you cannot walk or drive your own car because it is considered a construction site. If it’s not peak season be prepared that the restaurant may not be open. Even though there was an abundance of people at Crazy Horse while we were there most of the place was closed. If you have younger kids be prepared to read and explain to them about all the artifacts and exhibits you will see. Crazy Horse is a fascinating stop but children may become disinterested because much of it is reading. Peyton is six years old so for her to read everything would be difficult if not impossible with some of the words. 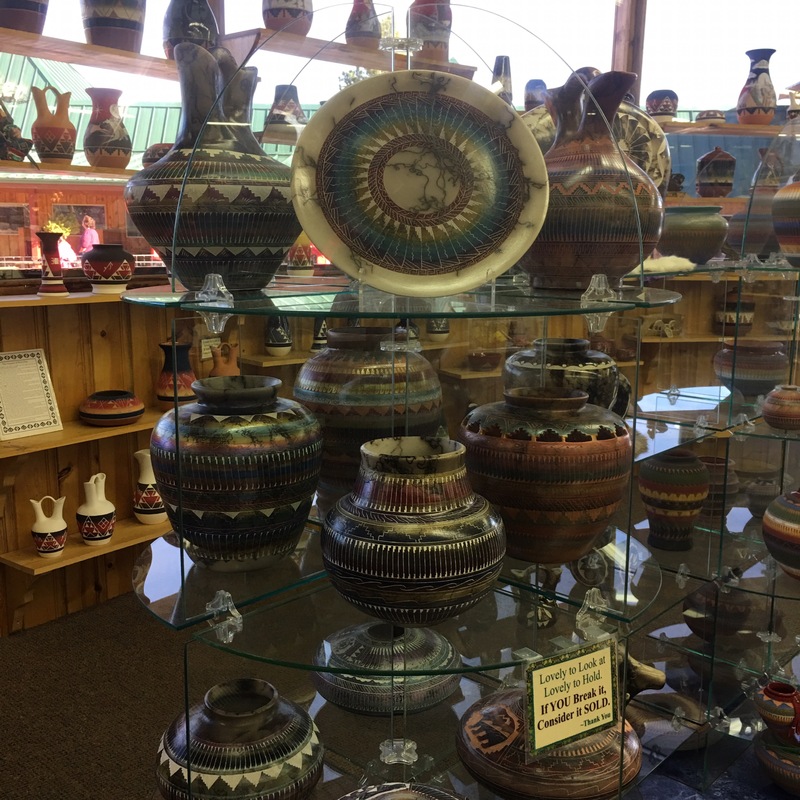 There is a massive gift shop onsite full of handmade pottery, dream catchers, books and more. The proceeds from the gift shop help to fund the memorial so be prepared to see inflated prices. Remember, everything you spend today will help Crazy Horse grow. Bottom line, I enjoyed visiting Crazy Horse. I thought there was a lot of history and culture to absorb. However, young children may not feel the same. Peyton did enjoy her time at Crazy Horse but I do not feel she understood all of what she was seeing and hearing while we were there. I will definitely be bringing her back when she’s older and can grasp the information more. One of my favorite parts of Crazy Horse was a huge bin of rocks. The rocks were from Crazy Horse! Chunks of granite that had been removed from the mountain as they carved out the memorial. For a donation, you could take a rock home with you. This was our memento from Crazy Horse. I let each child pick out a piece of history and take it home with us. Crazy Horse has a vast amount of history to absorb. 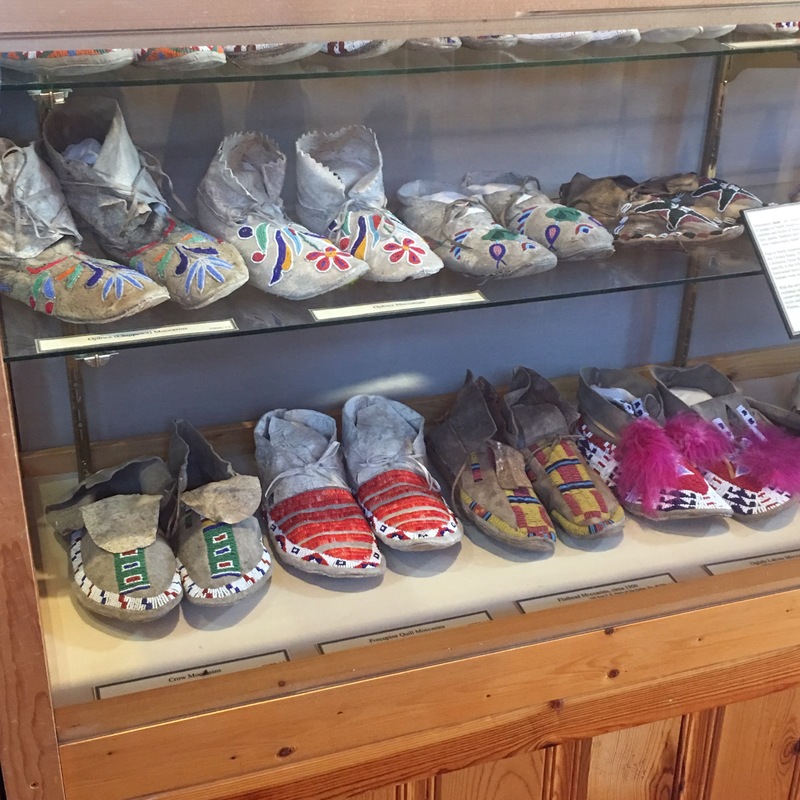 If you are looking to visit I would suggest setting aside at least an hour (if you do not plan on taking the bus tour) or 3-4 hours if you plan on taking the bus tour and having lunch. There is a film to watch about the history. Unfortunately, we kept missing the start so we never took it in. Crazy Horse is a short ride from Mount Rushmore and would make a great day trip. See Mount Rushmore, head over to Crazy Horse and then head back to Mount Rushmore to enjoy the evening program. We went to Crazy Horse a couple of years ago and I enjoyed it. I do not understand why it is not funded as a national monument either. It is well worth the trip.